Governor of Delta state, Senator Ifeanyi Okowa has disowned one Mr. D. O. Nwachukwu, said to be his cousin who was fingered in alleged N350 million scam involving some top Delta State government officials. Okowa who was seriously unsettled over an enquiries by a journalist during his 2018 quarterly media chat in Asaba, on the alleged fraud, abruptly denied Nwachukwu, the founder of Nwachukwu Auctioneering Services, who was engaged by the Delta State Government to auction unserviceable assets in Ministries, Departments and Agencies (MDAs) in the state as his cousin. According to Saharereporters, besides Nwachukwu, top officials of Delta state government including Mr. Festus Ovie Agas, Secretary to the State Government (SSG) and Mr. Jaho Adams, Secretary, Board of Survey On Unserviceable Assets, and other top government officials are allegedly involved in the fraudulent deal. The report says following the decision to dispose the unserviceable government assets in the Ministries, Departments and Agencies (MDAs) in the state, Mr. Okowa appointed his ‘cousin’, Mr. D.O Nwachukwu, founder of Nwachukwu Auctioneering Services, to handle the disposal of the items which include vehicles, power generating plants, hospital equipment, electrical appliances, computers, furniture, beds, generators, Marcopolo buses and machinery across the state. The report quoting sources close to the exercise, disclosed that the governor’s ‘cousin’, SSG, Mr. Adams and others allegedly engaged in ‘duping’ interested buyers in the exercise. A prospective buyer told SaharaReporters that many willing buyers have paid for items, which have not been delivered to them. Those in charge of the disposal have been giving out the items to relatives, families and friends. Items like vehicles, and generators were given to the relatives of the governor and the SSG for free, the report also alleged. 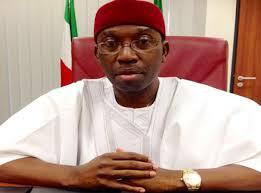 “I don’t know why the anti-graft agencies find it difficult to succeed in the fight against corruption in Delta State. 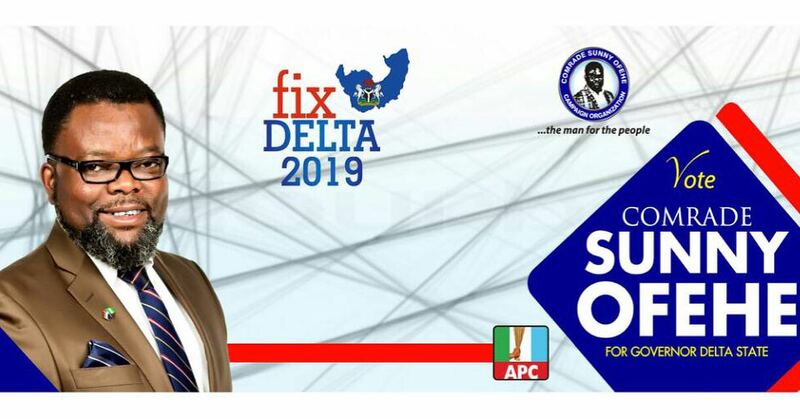 If you are looking for where the tap root of corruption is, come to Delta state. 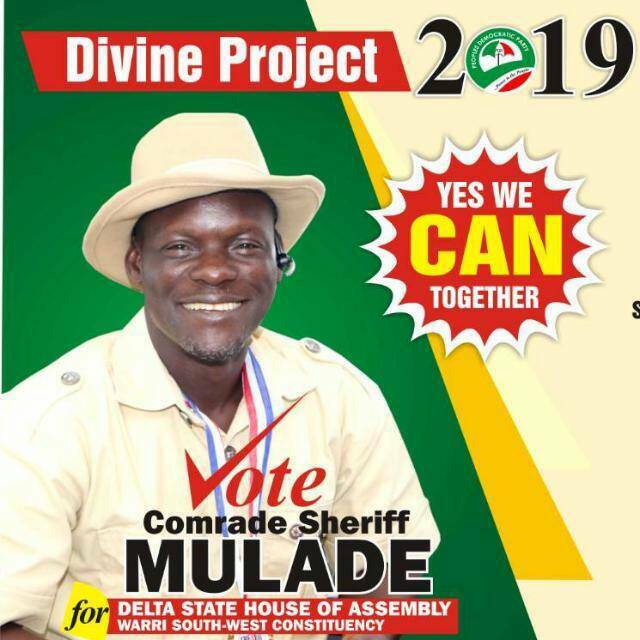 What surprises me most is the way the auctioneer is busy allocating items to the governor’s relations and cronies from the Delta North area of the state without payment,” said the prospective buyer. SaharaReporters investigation revealed that apart from a purchaser, who was conned into paying over N15 million for items that were not released to him, many others paid sums ranging between N2m and N20 million into a private Zenith Bank account bearing Afam Dynasty Limited (account number 1015329614), operated by one Mr. Afam Adingupu, Operations Manager of Nwachukwu Auctioneering Services. It was also gathered that instead of issuing the official receipts reflecting the true amounts paid for the items, the board, in connivance with the auctioneer, has been issuing receipts reflecting N150, 000. This is what is expected to be paid into the government coffers through the Board of Survey On Unserviceable Assets account (0066875580) at Sterling Bank. “They fraudulently collected over a million naira for each 100 or 150 KVA generating plants from buyers. Some buyers got between three and seven generators for over a million naira each, but were issued receipts showing N150, 000. Meanwhile, you are directed to pay the millions of naira into the private account of Mr. Adingupu,” said a source. A source in the office of the SSG, disclosed that Mr. Adingupu and others purportedly took some sound-proof generators to generator mechanics in Asaba for repairs and were allocated to cronies and relatives at no cost. Another source close to the Board said since the auction began in December, most of the items have been taken by relatives of Mr. Okowa, the SSG, Mr. Agas and other top government officials and their cohorts. It was also gathered that the man who collected millions of naira on behalf of Mr. Okowa’s cousin has fled to the United States, with duped buyers threatening a showdown. “Mr. Afam Adingupu, on behalf of the auctioneer, collected several millions of naira from people with the promise of allocating various items to them which was never done till this moment. Several private bank accounts were given to prospective buyers to pay monies into and at the end of the day you don’t see what you paid for.” the source said. According to BigPen Online, Okowa had blamed rumour mongers for spewing ills about his administration, particularly in the social media, alluding to the fact that the claims could be one of such ‘rumours’. Said him, “I want to thank all of you and also to appreciate you for speaking very frankly but sometimes you know there are a lot of rumours that goes on everywhere particularly in the social media where all manner of things are said. He said that as a Governor, he has to tolerate a lot of things including unprintable things used on the social media because it would be unfair to react, calling on journalists, however to do more of investigative journalism before raising some certain issues in a public foray. “But when you sit on this kind of office you have to tolerate all manner of things because it will also be unfair to take actions but sometimes it is also good that we are able to carry out investigative journalism before you come here to make certain assertions. While acknowledging the said Nwachukwu as a credible Auctioneer known right from defunct Bendel state, Okowa bluntly puts; “he is not my cousin, just to correct that information”. “Board of Survey On Unserviceable Assets, that he talking about, yes I will look into the claims that he want me to look into. But D. O. Nwachukwu is not my cousin in the first instance, you should have known if you find out and secondly, I’m aware that long before I came into government, D. O. Nwachukwu has been a license Auctioneer for several years right from Bendel state and not even Delta state so it is not a question of whether he is competent or not. He has been a licensed Auctioneer when they were very few in then Bendel state before the division into Edo and Delta states. That, I’d know but he is not my cousin just to correct that information”. Apparently, in a bid to discredit the allegation almost immediately after saying earlier he will investigate it, Governor Okowa directed one of his personal aide to verify the account number with the bank and the aide after taking a step aside came and whispered to the governor, who declared the account number as not existing. But many journalist who were apparently shocked at Okowa’s handling of the matter, promptly check out the account on Zenith Bank Internet banking platform and got Afam Dynasty Limited name popping up as owner of Zenith Bank account number 1015329614. Investigations revealed that the company which was registered with the Corporate Affairs Commission on 24th August, 2001, have Zenith Bank as its corporate bankers. BigPen Online independently went to Zenith Bank to verify the account and reports that the account actually exist against Okowa claims and was able to pay in N500,00 into the said account, Afam Dynasty Limited which is said not to be existing in Zenith Bank on Friday. But Okowa speaking at the interactive session said, “As to whether there are corrupt practices for me to check and see what’s going on, I have just called them to call because he quoted a number; I asked them to call and of course I have been told, the first call I got is from somebody there and it says that that account number does not exist at Zenith Bank and I am going to investigate the scheme. “I like people to bring out information for me but please ensure that your information is credible because sometimes when you accused somebody wrongly, (it is not about me), when you accused somebody wrongly it will be unfair because you would not have this gathering again to refute your story and I think there is the need to check that act. “But till tomorrow I have a enough confidence on my Secretary to the State Government. I have more than enough confidence on him (the crowd, comprises of journalists, commissioners and retinue of aides erupted with a round of applause). Tagged Afam Dynasty Limited, D O. Nwachukwu, Festus Ovie Agas, Governor Ifeanyi Okowa, Mr. Afam Adingupu, Nwachukwu Auctioneering Services.